It wasn’t that long ago that if you wanted to get music to every room of your house it required hundreds of feet of speaker wire and cutting holes in your wall or ceiling in order to install the speakers. If you wanted to control that music, then you also needed to put keypads into every room. However, times have changed. Today, multiroom audio systems are easier to install than ever (anybody can do it) and the control you have over them is nearly limitless. 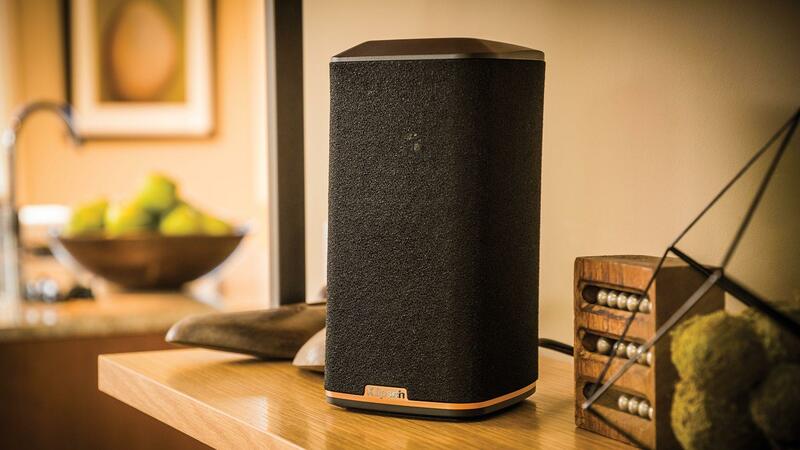 Klipsch Stream Wireless multi-room products allow you to put music in any room you wish, and control that music from the smartphone you already have. 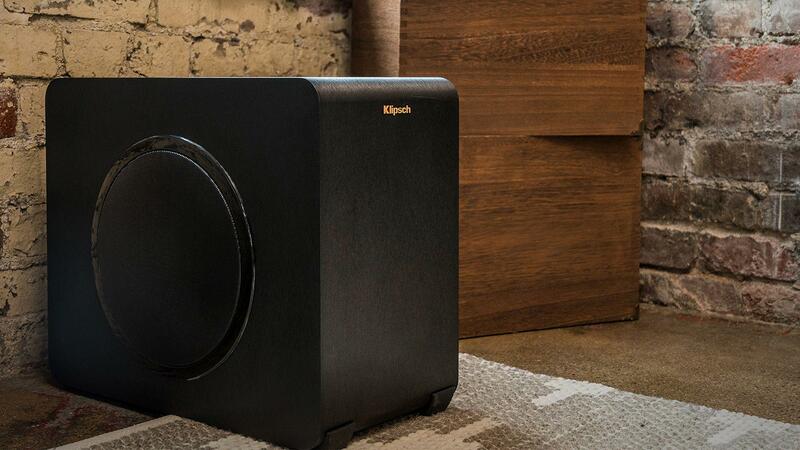 The wide variety of Klipsch Stream products allows you to decide what sort of performance level you need in each room, start small, and build up over time. The Klipsch Stream app is available on both Apple and Android devices and you can stream from your favorite apps like Tidal, Spotify, Pandora, Napster, and iHeart Radio to name a few. Klipsch Streams products connect to the Wi-Fi network in your home just like your tablet or laptop do. Once the speaker is on the network you can stream from music services like Pandora, Spotify, Tidal and iHeart Radio (and many more) from your smartphone or tablet to any speaker, or combination of speakers, connected to the same network. 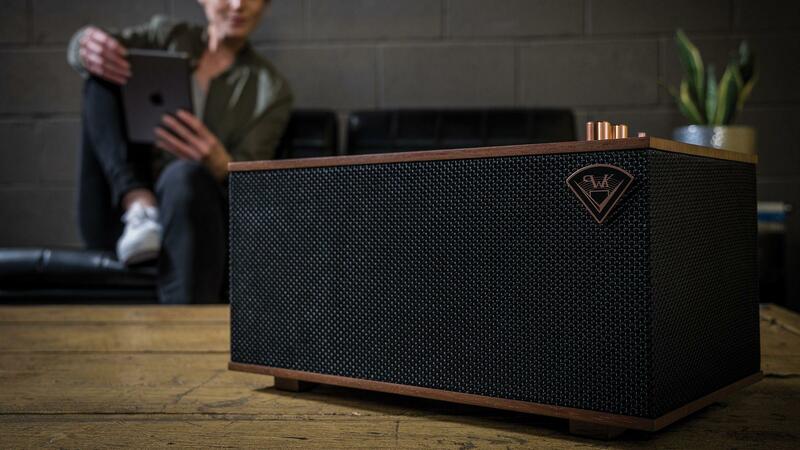 The Three combines the classic look of Klipsch Heritage with the advanced technology of Klipsch Stream. It looks great in dining rooms, home offices, and serves as a statement piece in your living room. These speakers work well if you need to add speakers to a room but what if you already have speakers or other audio components that you want to include on the system? 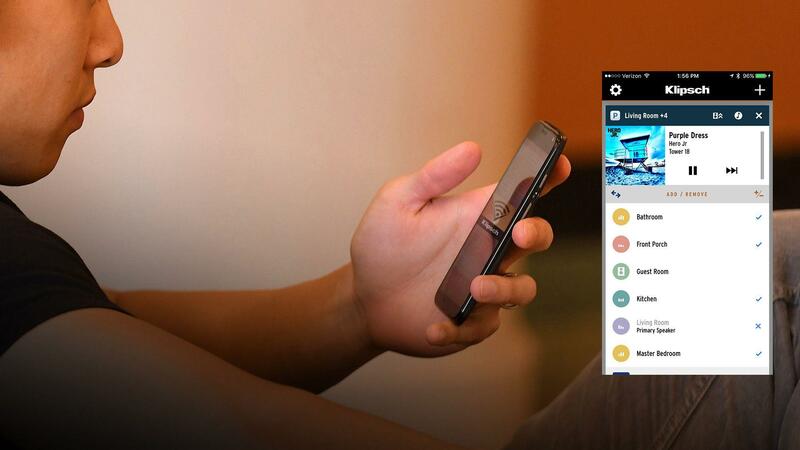 The Gate is a device you can use to add any audio system to Klipsch Stream. 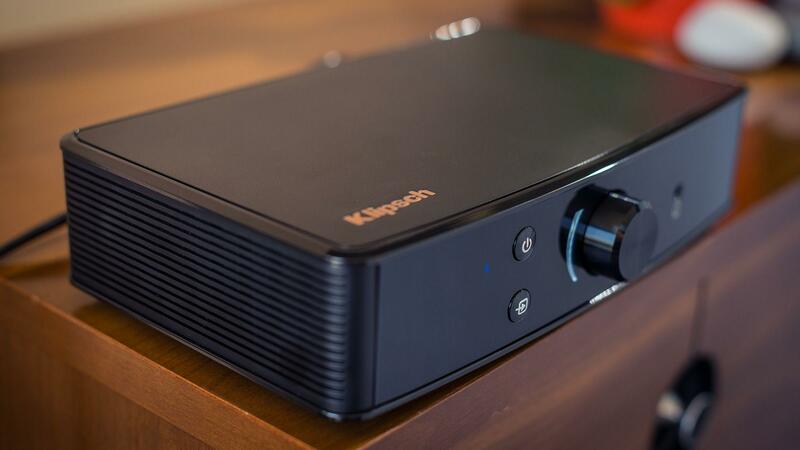 Perhaps you have an AV receiver connected to a home theater system, add a gate to link that system to the Klipsch Stream network. 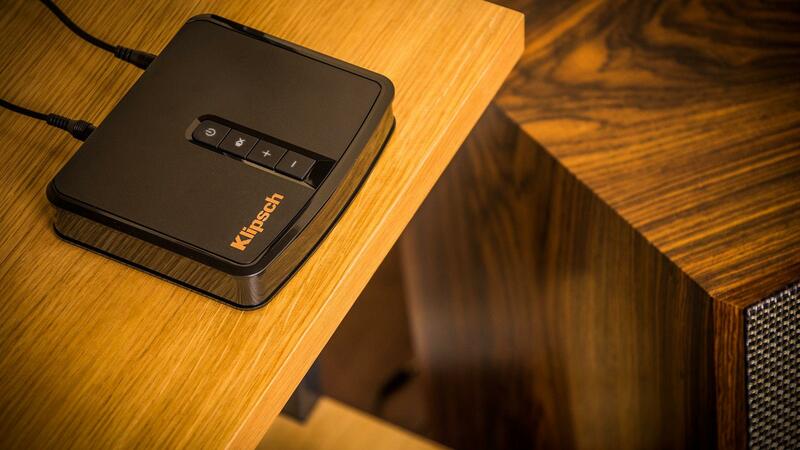 The PowerGate adds an amplifier, allowing you to add any speakers in your home to the Klipsch Stream system. Perhaps you have a pair of Klipsch Heresys. Connect them to the PowerGate and they are now part of the whole-house Klipsch Stream system. 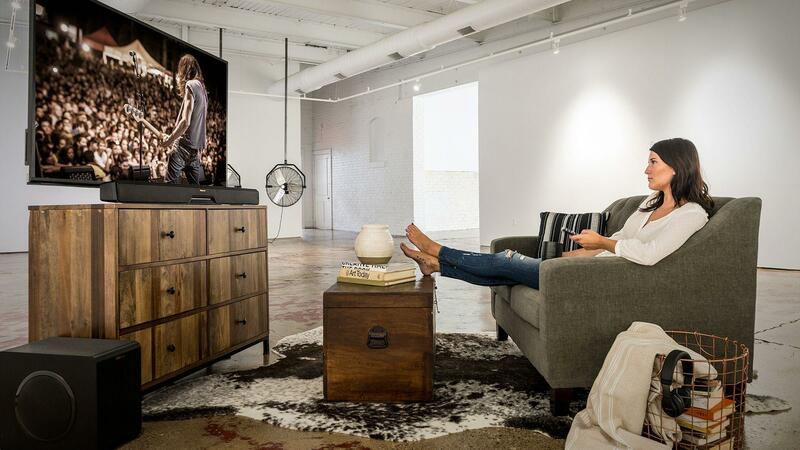 Finally, Klipsch makes two different Klipsch Stream-enabled sound bars, the RSB-14 and RSB-8. These soundbars put Klipsch home theater sound in your living room as well as enable wireless multi-room audio. Don’t forget that you can add RW-1’s as rear surrounds to have a true surround-sound experience during movie night. Now for a limited time, get 50% off tow RW-1 Wireless Speakers when you purchase an RSB-8 or RSB-14 Sound Bar - A total savings of $249. Discount will be added automatically during checkout. Speakers can be added to the system over time, so as new Klipsch Stream products are released, you can add them to your network, and they’ll instantly become part of the system. There’s never been an easier way to build a wireless whole house audio system.